I am deeply sympathetic to the plight of millions of Catholics who find themselves “between a rock and a hard place” due to the wreckovation of the Catholic liturgy in the 1960s, compared to which the wreckovations done to church buildings were a mere afterthought. Searching for the best answers to these sorts of inquiries, I wanted to find the principles by which prudential judgments about Mass attendance could be made. What follows is my best effort to explain the advice I would give, and why . My article proceeds on the basis of the assumption that the SSPX is not in a state of formal schism . If the SSPX were in schism, its priests would have been handed over to the curial department for Christian ecumenical relations — namely, the Pontifical Council for Promoting Christian Unity. As it is, they are under the care of the Congregation for the Doctrine of the Faith, which deals with problems internal to the Catholic Church. This implies that there is no definitive rupture. They are, to use the technical language, in an “irregular ecclesial situation” or “imperfect communion” . 11. The Mystery of the Eucharist “is too great for anyone to permit himself to treat it according to his own whim, so that its sacredness and its universal ordering would be obscured.” On the contrary, anyone who acts thus by giving free rein to his own inclinations, even if he is a priest, injures the substantial unity of the Roman Rite, which ought to be vigorously preserved, and becomes responsible for actions that are in no way consistent with the hunger and thirst for the living God that is experienced by the people today. Nor do such actions serve authentic pastoral care or proper liturgical renewal; instead, they deprive Christ’s faithful of their patrimony and their heritage. For arbitrary actions are not conducive to true renewal, but are detrimental to the right of Christ’s faithful to a liturgical celebration that is an expression of the Church’s life in accordance with her tradition and discipline. In the end, they introduce elements of distortion and disharmony into the very celebration of the Eucharist, which is oriented in its own lofty way and by its very nature to signifying and wondrously bringing about the communion of divine life and the unity of the People of God. The result is uncertainty in matters of doctrine, perplexity and scandal on the part of the People of God, and, almost as a necessary consequence, vigorous opposition, all of which greatly confuse and sadden many of Christ’s faithful in this age of ours when Christian life is often particularly difficult on account of the inroads of “secularization” as well. A Catholic may not simply skip Mass on Sundays or Holy Days of obligation. The duty to attend Mass in person — not televised or videotaped or read as a private devotion from a book — is clear from the entirety of Catholic tradition and has never been called into question by any theologian. As we know, a serious injury, sickness (either one’s own or that of a dependent), or dangerous weather to travel in cancels out the obligation. One has to exercise prudential judgment, avoiding on the one hand a scrupulosity that would refuse to concede legitimate excuses and on the other hand a laxity that all too readily excuses oneself from inconvenience. Where the question of Mass attendance becomes vexed is in the long-term perspective. If, due to the state of affairs in your vicinity, you are continually frustrated with liturgies that are done irreverently or abusively, it will be difficult to nourish your spiritual life. You might end up spending a lot of your energy fighting back anger, resentment, bitterness, or depression, and this is certainly not optimal for interior health. While Our Lord expects everyone to put up with some imperfections (since our fallen world will never lack them), the kind we should put up with could be described as incidental, such as a clumsy organist, a priest who can’t sing well, or a community with more than its fair share of opinionated rad trads — not those imperfections that cut into the bone of what the liturgy is and is for. An eruption of lay ministers from the nave into the sanctuary, for example, contradicts the very meaning of the liturgy, the building in which it is conducted, the tradition of the Church, and the liturgical norms themselves. Something similar could be said of the irreverent distribution of Holy Communion, which is deeply offensive to Almighty God, who has established Holy Orders within the Church and guided the formation of her customs over the centuries so that the holiest thing we possess on Earth might be treated as reverently as possible. While one might have to suffer from it and tolerate it once in a long while, this kind of abuse is never something one is permitted to tolerate on a habitual basis. To do so is virtually to give it one’s consent and to risk becoming desensitized to the offense. If one has children, the obligation to get away from errors and abuses is all the more urgent, since they are sponges who soak in the influences of their surroundings. They will learn their religion not only from what you say, but also from what they see . For this reason, one has an obligation to seek to live where a reverent liturgy can be found. In a larger, more populated area, it is usually not so difficult to find a parish that actually cares about the Mass, has good music, etc. But in a remote or low-population area, or in a diocese ravaged by modernism or indifferent mediocrity, there may in fact be no good options and none likely to appear. Either one has to develop great interior resources for offering up the situation or one has to move. One often hears of people who travel huge distances for a good Mass, and while this is admirable, it may not be reasonable or even possible in a given situation. There are two kinds of impossibility that affect human action: physical and moral. “Physical impossibility” refers to an impossibility that arises from material conditions. For example, it is impossible to drive a car without gas; I cannot fly because I have no wings; I cannot repay a debt to a debtor who has died without heirs or disappeared; I cannot go to Mass if I have been thrown into prison by a totalitarian regime. “Moral impossibility,” in contrast, refers to a situation where a given action is physically possible but should be treated as impossible for the purposes of decision-making. This could be because (a) the action is astronomically unlikely to succeed (“Of course you can go to confession; you just have to pass our rocket science exam first”); (b) the action entails unreasonable risk of death (“Of course you can go to confession, but you’ll have to walk five miles at night through wolf-infested woods during a blizzard”), or (c) the action could not be undertaken without undermining prior moral commitments. This last category is especially important in the Christian life. It is physically possible for a person in mortal sin to go up to receive Holy Communion, but it is morally impossible for him to receive Communion worthily; he is incapable of doing it in a morally acceptable way and will only sin by doing it. Another less extreme example is when a man’s boss refuses to allow him to take time off on a holy day to attend Mass. In this case, while the worker could walk off in a huff and go to Mass anyway, the damage to himself and his family (e.g., by losing the job) could be such that the Mass obligation ceases to be binding in this case (although a better job or boss should be sought eventually). To apply this concept now to the issue at hand: a combination of objective and subjective factors may amount to a moral impossibility of attending the only available diocesan Mass in a given place or at a given time. If a nearby parish routinely features liturgical practices that are harmful to one’s spiritual life and offensive to God, it may become morally impossible to fulfill one’s obligations at that place. If it is likewise morally impossible to move to a better location in the foreseeable future, then attending Mass at an SSPX chapel may be the right solution. In order to answer your questions we must explain the Church’s present evaluation of the situation of the Society of St. Pius X. There is no doubt about the validity of the ordination of the priestsof the Society of St. Pius X. They are, however, suspended a divinis, that is, prohibited by the Church from exercising their orders because of their illicit ordination. The Masses they celebrate are also valid, but it is considered morally illicit for the faithful to participate in these Masses unless they are physically or morally impeded from participating in a Mass celebrated by a Catholic priest in good standing (cf. Code of Canon Law, canon 844.2). The fact of not being able to assist at the celebration of the so-called “Tridentine” Mass is not considered a sufficient motive for attending such Masses. While it is true that the participation in the Mass and sacraments at the chapels of the Society of St. Pius X does not of itself constitute “formal adherence to schism,” such adherence can come about over a period of time as one slowly imbibes a mentality which separates itself from the magisterium of the Supreme Pontiff. It is a telling sign that SSPX priests and bishops are usually allowed to offer Mass in non-Society churches around the world, including the chapel at Lourdes and St. Peter’s Basilica in Rome. Society priests have offered Mass at the Basilica of the National Shrine of the Immaculate Conception in Washington, D.C. during the March for Life. (It’s clear that this would not be allowed for Eastern Orthodox or “Old Catholics.”) Most traditionalists are aware that the faithful in large cities freely float between parishes run by Ecclesia Dei communities, Society chapels, and diocesan TLMs, depending on work and family schedules. I know of one diocese in the USA in which the bishop has given the SSPX blanket permission to officiate at weddings and has appointed a priest as official liaison with traditionalists not in full communion with Rome. This kind of forward-thinking, truly pastoral approach ought to be the default, especially given Pope Francis’s overtures, but unfortunately, it is not. Since 2003, the most important change in the canonical landscape has been the publication of the motu proprio Summorum Pontificum and the Instruction Universae Ecclesiae, which together make absolutely clear the duty of bishops and of parish priests to provide access to the usus antiquior for the faithful who request it. It is a genuine abuse of the rights of the faithful when the usus antiquior is withheld from them or needlessly delayed. 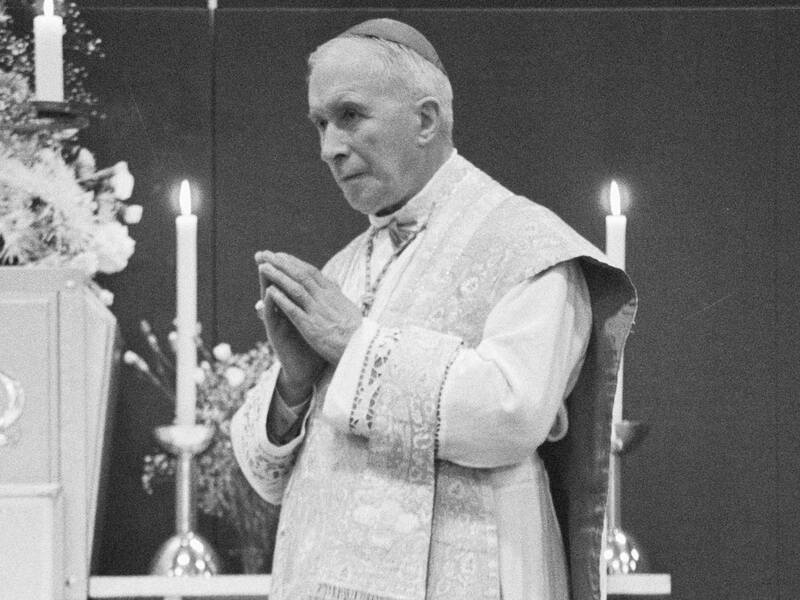 It is morally licit for the faithful to participate in SSPX Masses if they are physically or morally impeded from participating in another Mass. An example of a moral impediment that could justify a Catholic’s attendance at SSPX liturgies would be consistent and predictable liturgical abuses at local Masses, in violation of the rights of the faithful as articulated in Redemptionis Sacramentum, or the persistent refusal to provide the usus antiquior when it has been requested in accordance with Summorum Pontificum. It is incumbent on the lay faithful, in accordance with Redemptionis Sacramentum (see esp. nn. 169–184), to report to the local bishop graviora delicta (172), grave matters (173), other abuses (174), and even untraditional and disedifying customs (cf. 11–12), in a respectful and charitable manner. If, after a reasonable amount of time, no steps have been taken to remedy the problems and no other solution is in sight, the faithful cannot be said to have failed to do their part in attempting to rectify the situation. A lack of responsiveness and correction would tend to augment the moral impediment to participation in such abusive liturgies. Those who attend an SSPX chapel because of a moral impediment to attending Mass elsewhere are permitted to make a modest contribution to the collection and to receive Holy Communion. Based on other responses from the PCED, a Catholic who does not have other options may fulfill his obligation at an SSPX chapel but not at an “independent” chapel, because there is no certainty on the part of the Church as to whether such a chapel is served by a validly ordained priest and so forth . Catholics may go to Confession in SSPX chapels because Pope Francis has granted their clergy permanent faculties for hearing confessions. If Catholics would like to get married in an SSPX chapel, my understanding is that they need to be in contact with the local bishop to ask him to grant faculties to the SSPX priest to witness the marriage, per Pope Francis’s provisions . As Redemptionis Sacramentum testifies, the Church desires that the faithful be able to participate in a Catholic liturgy that glorifies God and edifies and sanctifies the participants. All the same, the Church could not, consistent with herself, desire us to possess this good at the expense of our catholicity and our adherence to the Petrine office, however unworthy, confused, or antagonistic its incumbent may be at a given moment in history . Attendance at an SSPX chapel may be unavoidable in certain circumstances and may become a source of interior peace and consolation, but one must always remain attached, in mind and heart, to Holy Mother Church in her hierarchy. As we know, only in Heaven will there be a Church of the perfect; on Earth, there is only the Church of sinners, who are often difficult and confused people, and this among both the sheep and their shepherds. As mentioned at the beginning, we are dealing in this realm with prudential decisions. If one has small children in their formative years, it would be more urgent to get them into a liturgically positive environ­ment and away from abuses. If it is practically impossible to move, however, and moral impediments abound, then one has to find a way of fulfilling one’s obligations as a Catholic, which may include recourse to an SSPX chapel. I have discussed related matters in another article that may be helpful to read alongside this one: “Sorting Out Difficulties in Liturgical Allegiance,” published here on February 21, 2018. There is an important distinction to make here between material schism and formal schism. Vatican statements have not concluded that the SSPX is in formal schism, which is defined as the case where the Church has declared someone to be in schism. But if this is possible, there must also be, prior to it, material schism, which is understood by St. Thomas and the canon law tradition to be a moral state where someone intends to be in schism by rejecting legitimate ecclesiastical authority or the acts of those authorities. If Church authorities examine a person or a community and reach the certainty that such an intention of schism exists, they may then declare that person or community formally in schism — i.e., no longer part of the Catholic Church. Clearly, the latter has not yet happened with the SSPX, but this does not touch the question of whether individual members of the SSPX may not in fact be in a state of schism internally. Signs of such material schism would be denying the validity of the Novus Ordo (which is not the official policy of the SSPX but turns out to be the private view of some who frequent its chapels), denying that Vatican II was a legitimate ecumenical council, and denying the jurisdiction of the local bishop or the pope. Someone, for example, who refused in principle to receive the Eucharist from the Church’s Masses and insists on receiving only from within a set apart group would already be in a state of material schism, regardless of any official pronouncement or canonical process about formal schism. Those who join a materially schismatic community for an extended period are likely to slide into the same state. This is the danger perceived and warned against by certain Vatican statements. The very fact that the PCED has said (as will be discussed at length below) that Catholics may fulfill their Sunday obligation by attending an SSPX chapel — and not simply in an emergency — points to the same conclusion. In 2008, a Catholic journalist (not a member of the SSPX) received a letter from the PCED responding to his request for clarifications regarding the canonical status of the SSPX. The PCED formally (re)confirmed that (1) the SSPX is within the Church; (2) the SSPX is not in formal schism; (3) Catholics commit no sin, nor incur any canonical penalty, for attending SSPX Masses. For more detail, see “Fidelity to Liturgical Law and the Rights of the Faithful,” published here on July 3, 2017. We always stand at a crossroads. Is this liturgy in which I am about to participate going to be a healthy and health-giving ‘argument’ to pour into my soul? Will it be God-glorifying in its essence and in its accidents, and therefore perfective of me as a creature made in God’s image? Or will it be sickly and sickening, harmful to the development of the interior life, missing the mark, displeasing to God because it is an exhibition of wilfulness, indolence, narcissism, tawdry pop culture, or any other corrigible defect? I have heard church music that is so completely unsuitable for the freight of its words and the seriousness of its purpose within the Holy Sacrifice of the Mass that it constitutes a form of spiritual self-mutilation to allow oneself to be sonically assaulted by it, and a form of cruelty to allow impressionable children to be subjected to it. What is true for me is even more true for my children. This way of celebrating [the TLM] most deeply forms the minds and hearts of our children in reverence for Almighty God, in the virtues of humility, obedience, and adoring silence. It fills their senses and imaginations with sacred signs and symbols, “mystic ceremonies” (as the Council of Trent puts it). Maria Montessori herself frequently pointed out that small children are very receptive to the language of symbols, often more than adults are, and that they will learn more easily from watching people do a solemn liturgy than from hearing a lot of words with little action. All of this is extremely impressive and gripping for children who are learning their faith, and especially boys who become altar servers. … Even if we ourselves receive communion on the tongue at a Novus Ordo Mass, chances are we will still be surrounded by these careless habits – an environment that will either fill us with outrage and sorrow or lead to a settled indifference. These reactions are not helpful in experiencing the peace of Christ’s Real Presence, nor are they an optimal way to raise one’s children in the Faith! … This point should be emphasized: it is especially harmful for children to witness, again and again, the shocking lack of reverence with which Our Lord and God is treated in the awesome Sacrament of His Love, as pew after pew of Catholics automatically go up to receive a gift they generally treat with casual and even bored indifference. My fullest treatment is in “‘Children Change Everything’: Prioritizing Family Worship,” published here on December 11, 2018. A nice summary is offered here. Note that Fr. Zuhlsdorf is substantially in agreement with the position outlined here: see http://wdtprs.com/blog/2012/07/quaeritur-mass-obligation-at-an-sspx-chapel-and-receiving-communion/ and http://wdtprs.com/blog/2013/10/quaeritur-confession-at-regular-parish-but-sunday-mass-at-sspx/. For more on this point, see http://wdtprs.com/blog/2012/05/fulfilling-mass-obligation-at-sspx-chapels-has-there-been-a-reversal/. I’ve read the SSPX arguments for supplied jurisdiction and find them inconclusive, although my deep love for the Church’s tradition inclines me to be sympathetic to anyone fighting modernism. Note I say “office” — not to its incumbent in his non-magisterial acts, of which today there is a bewildering and even scandalous superabundance.